That’s me in the screaming pink Hello Kitty cap. Next to me is my friend Mbekezeli Khumalo. The guy in the shorts at the end is Mark Boucher. 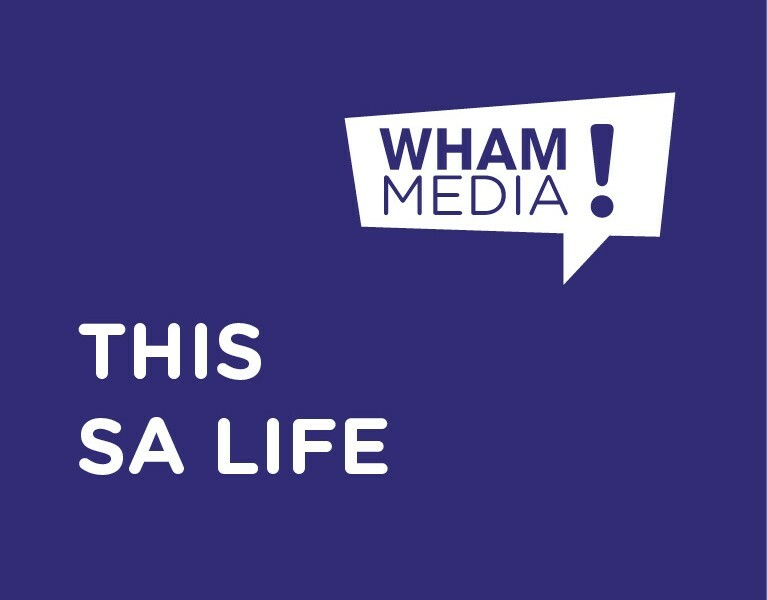 The story about how the two of us came to be standing together next to that rhino cow in the Pilanesberg is a reminder of the power of social media and the wonderful possibilities of pure chance. Oh wow, I thought. What are the chances? “What are you doing on Friday?” I asked casually, hoping. As it happens, I work on the South African Breweries account as a freelancer at Quirk, which runs their corporate social media. SAB Boucher Conservation is one of the projects I’ve worked on. 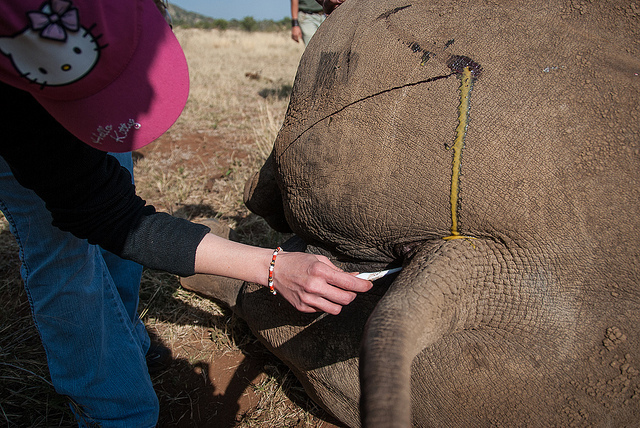 This is a trust formed by Mark Boucher and SAB to raise funds for the rhino DNA profiling project. 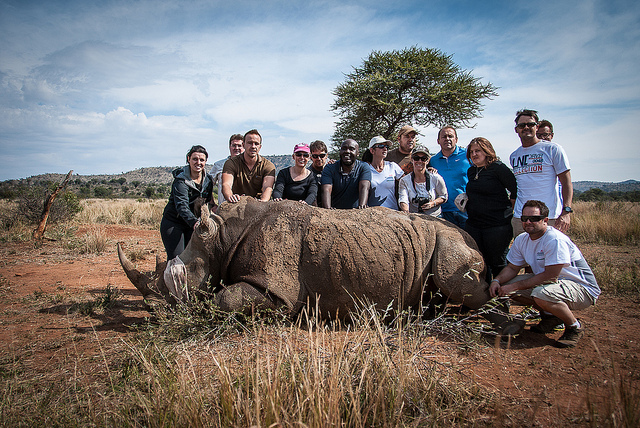 The board boasts some pretty impressive members, including Archbishop Emeritus Desmond Tutu, Vincent Maphai and “Mr Fix-it” Mavuso Msimang, who has taken a particular interest in the rhino poaching problem. So the timing of Mbekezeli’s message couldn’t have been more perfect. He explained to me on the bus to the park that he and his partners had the anti-poaching idea after seeing a TV show on gunshot detection technology and wondering if the same could work in South African parks where rangers can’t be everywhere. We were warned not to touch the dart wound (which you can see in the photo) because the tranquilliser used, M99, is deadly to humans. Rhinos are very sensitive to it; the same quantity needed for a bushbuck can take down a big bull. 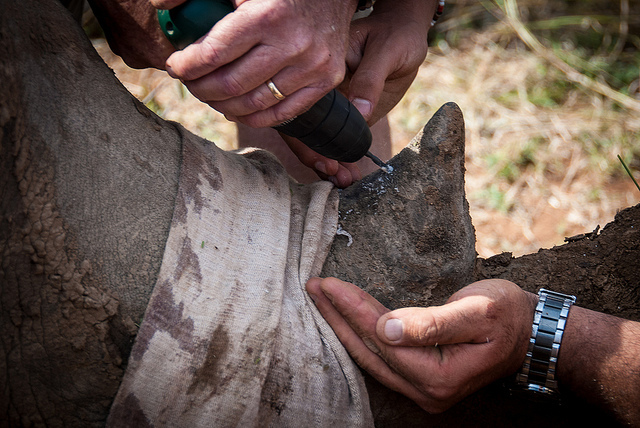 The DNA is extracted from samples taken from the horn when it is drilled to be microchipped. One of the rangers urged me to taste it. I’ve heard that rhino horn is keratin, just like our own skin and hair, and when you taste it, that’s exactly how it is: like chewing your own nails. DNA profiling is important because it’s essential to the management of any endangered species. You need to know where individuals are at any given time. DNA evidence is vital in court cases prosecuting poachers, and if the trade is ever legalised, DNA profiling of all rhino horn will be essential. Education matters, and so does healthcare, violence (especially gender-based violence) and so many other things. Rhino poaching is theft on a national scale. 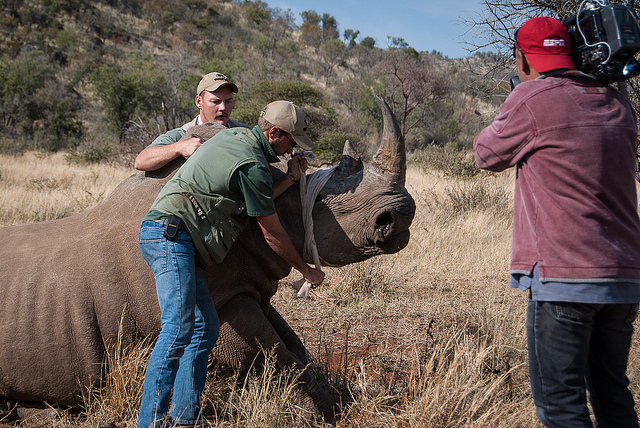 The rhinos that are being slaughtered are, for the most part, in our national parks. That means that they belong to all the people of South Africa. It’s an economic issue. Our wildlife isn’t just our heritage: it’s a national economic asset, attracting billions of rands every year. One of the reasons tourists spend all that money to travel such a long way to visit us is our wildlife. It’s a major criminal threat. Criminal gangs are funded by the drug trade and now, increasingly, the trade in wildlife products. On the one side, you have under-resourced field rangers and anti-poaching units covering vast areas. On the other, experienced, well-armed soldiers. On the other side, well-trained, well-armed poachers who will stop at nothing to get what they want. Conservationists who earn peanuts doing what they love (nobody ever goes into wildlife for the money) are now having to become tourist guides by day and soldiers by night. It’s a continental crisis. Rhinos aren’t the only species under threat. Elephants are being slaughtered in West and Central Africa. Far East Asia is ransacking Africa’s wildlife on a vast scale. If it carries on like this, there is the obscene possibility that our collective heritage will end up turned into trinkets on wrists and powder in vials. It’s now a global problem. Demand for rhino horn is so intense that even museums are being robbed and zoos are under threat. The DNA database being compiled by Onderstepoort here in South Africa has an equivalent in Scotland of all places. “This is the best Friday I’ve had this year,” Mbekezeli said to me as we sipped on some SAB product over lunch afterwards. It was an incredible experience, exciting as well as moving, and it’s one I will never forget. It’s easy to give in to rhino compassion fatigue, but after encountering this grey boulders of beasts at such close quarters, so huge and yet so vulnerable, it’s impossible for me to feel indifferent. 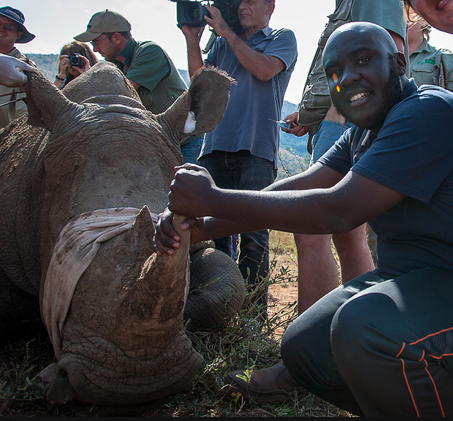 Mbekezeli and his partners will find out next week whether their anti-poaching idea will be one of the winners. I hope that regardless of what happens, they get the funding to turn it into a reality, and add it to our arsenal against a sophisticated and highly motivated enemy. Note: all photos are by Darren Smith. To see more, go here.